History in the Making: A NH Report of Awaken the Dawn 2017! 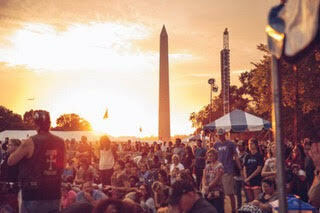 From October 6 – 9 representatives from churches and ministries from around New Hampshire joined with thousands of Christians from all over America gathered for a historic gathering in Washington DC: 3 days of 24-hour, unceasing prayer and worship in a Tent City on the national mall. This event was called Awaken the Dawn. It involved 58 tents, serving as mini-houses of prayer, one tent for all 50-states, with additional tents for Israel and multi-state tents for various regions of America. This tent city was set up for three days with one sole purpose: worship and glorify Jesus to see His name lifted high over our nation (John 12:32). This event was profound and catalytic! The NH Alliance Prayer team was happy to be a part of those represented, along with worshippers and intercessors from other NH churches and ministries! Those represented included Milford House of Prayer, Light of the World, Grace Capitol Laconia, Grace Capital Pittsfield, Freedom Fellowship, Gate City Church, Lifeway Church, Freedom House of Prayer, Symphony House of Prayer, the Crossing Life Church, Zeal Movement, and others. Next year, this ‘Tent-City’ of Awaken the Dawn will visit all 50-states, with plans to establish a tent-city of unceasing worship and prayer on every state capitol on October 5 – 7, 2018. This includes Concord, NH! To participate next year, contact AnnetteTuttle2222@gmail.com.